Early morning at 5AM. The morning run by the bay of the beach cancelled due to the rain. Sitting here in my balcony with a cup of coffee in my hand overlooking the vast mighty sea. Perfect bliss. 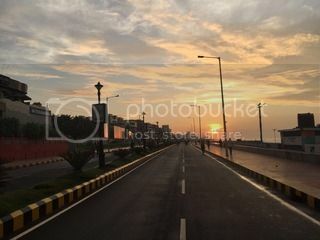 I am in my Home Town, my place of Birth – Visakhapatnam, on a week long holiday. Holidays are always a good time to reflect. To ponder. To recharge the internal body and the mind to be ready for the ensuing grind. When i first declared that i am off for a week to go home on my holiday, the immediate reaction from a colleague was of shock. “Home! That is not a vacation. You are visiting family”. “Yes! Even better. It would be like a family vacation!”, i snapped back. The colleague was still not impressed. I realised, family visits are not perceived as a vacation. This appeared quite strange to me. Let us assume the same colleague is on a holiday to Vizag with his wife. He has no family here, and thus takes up a hotel/guest house opposite to the beach. Spends most of his time in and around the sea like any tourist would do and eat some good sea food everyday, again like a picture perfect tourist. That would classify as a perfect vacation by the beach. But well, i think i am doing exactly the same. I am staying opposite to the sea and by extension spend most of my time in and around the water. I get to eat good food, with an added bonus of it being home cooked. and i am chilling all day and evening doing absolutely nothing of importance or productive. The present day unicorns like AirBnB and the countless others offering Home Stays are selling exactly the same experience. Vacations at a home like setting. 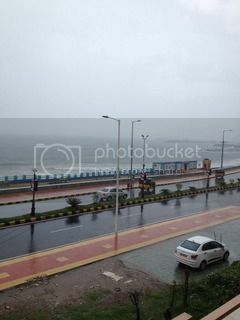 So, my trip to Vizag is as good as a holiday right? With an even better setting as all of this is in the midst of family and friends with whom i have spent all my childhood. This is like an annual holiday i get to take with all my family and friends. Could not get better. To top the overall experience i get to spend sweet nothing time writing such random ramblings sipping on a cup of good home made coffee overlooking the beach. This has to be the perfect vacation.